The Vapir NO2 comes packaged with one food grade tube for direct inhalation, this 3 pack of tubes are perfect replacements. The Vapir tubing is surprisingly resilient to staining, but after a while you will notice it start to get a little dirty. With replacements ready to go you will never have to leave your NO2 dormant while cleaning your other tubes. 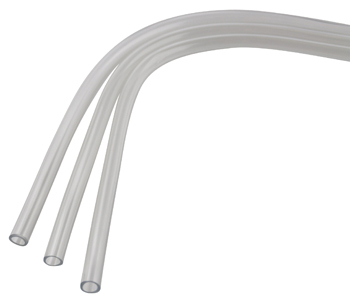 Each tube is approximately twice the length of the original that comes with your NO2, so you can either use the full tube as a longer whip for cooler vapor or cut each tube in half to then have 6 regular sized whips.